The WPC 2016 has just finished, and many videos, announcements and highlight articles are getting published every day. This article will help you to find your way through this wealth of information to the resources you need. A Microsoft Dynamics 365 is a whole new way for Microsoft Dynamics to handle business processes. Its vision is to enable businesses to create purpose-built SaaS applications which only includes the capabilities they need. – The Skype Operations Framework has been introduced. It is a new tool which will allow for a better planning, deployment and use of Skype for Business. Microsoft also announced that Office 365 customers will benefit from a preview of the automatic transcription and translation in Skype Meeting Broadcast. – The Cloud Solution Provider Program now offers Office 365 Education plans. For more Office 365 news, see: Office 365 news at WPC 2016. Azure Stack will be delivered as a single solution which will combine software, hardware, support and services. Azure SQL Data Warehouse, now generally available, allows for more flexibility in data warehousing. 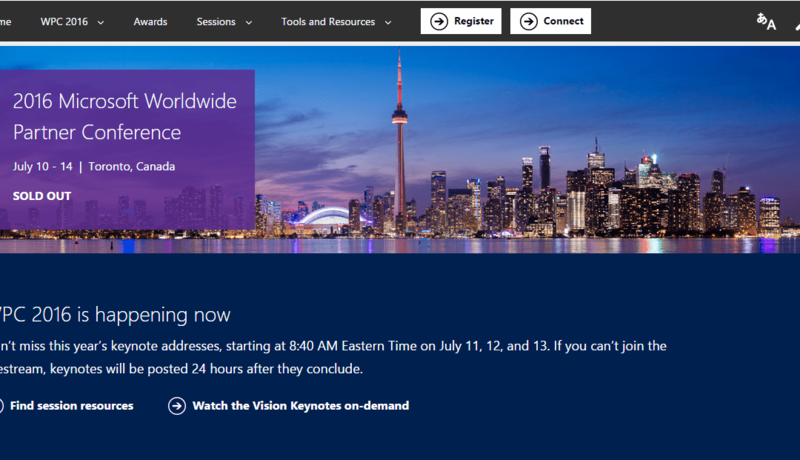 Windows Server 2016 and System Center 2016 will launch at Ignite. It will provide customers with a platform where they can build and run both cloud-native apps and mission critical apps. Microsoft’s new Azure Solutions website will make it easier to find and set-up cloud solutions. Microsoft announced Windows 10 Enterprise E3 in CSP. Businesses will now be able to purchase, through CSP Partners, Windows 10 Enterprise edition as part of a managed service offering. Windows 10, Office 365, Azure and Dynamics CRM will be available through a flexible and scalable subscription.